วันเสาร์ที่ 24 มกราคม 2015 เวลา 04:02 น. Since the time of the Buddha, more than two thousand five hundred years ago, monks have retreated into the depths of the forests, mountains and caves, seeking physical isolation to aid them in the development of meditation and realization of Dhamma, the truth of the Buddha's Teaching. Whether in solitude or in small groups, such monks live a life of simplicity, austerity and determined effort and have included some of the greatest meditation masters since the Buddha himself. Far from cities and towns, willing to put up with the rigours and hardships of living in the wild for the opportunity to learn from nature, and uninterested in worldly fame or recognition, these forest monks often remain unknown, their life stories lost among the jungle thickets and mountain tops. In our day and age, the practice of going into the forest to meditate and follow the ascetic dhutanga practices began with Phra Ajaan Sao Kantasilo, the teacher of Phra Ajaan Mun and, by extension, Phra Ajaan Singh and Phra Ajaan Lee. Phra Ajaan Sao was inclined to be, not a preacher or a speaker, but a doer. When he taught his students, he said very little. And those who studied directly under him are now elders who speak very little, who rarely preach, having picked up the habit from their teacher. 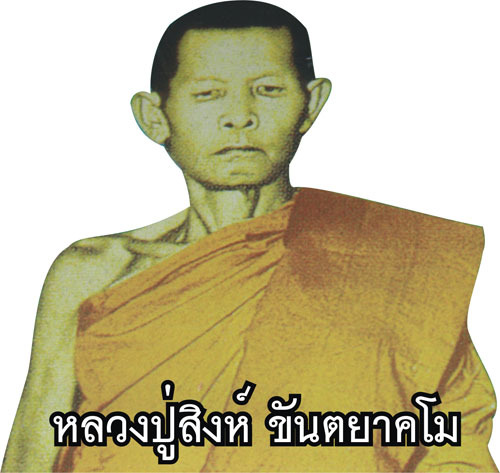 Thus, as Phra Ajaan Sao was not a preacher, I would like to tell you a little of the way in which he taught meditation. How did Phra Ajaan Sao teach? If it so happened that someone came to him, saying, "Ajaan, sir, I want to practice meditation. How should I go about it?" he would answer, "Meditate on the word 'Buddho.'" If the person asked, "What does 'Buddho' mean?" Ajaan Sao would answer, "Don't ask." "What will happen after I've meditated on 'Buddho'?" "Don't ask. Your only duty is simply to repeat the word 'Buddho' over and over in your mind." That's how he taught: no long, drawn-out explanations. Now, if the student was sincere in putting the Ajaan's instructions into practice and was persistent in practicing the repetition, if his mind then became calm and bright from entering into concentration, he would come and ask Ajaan Sao: "When meditating on 'Buddho' my state of mind becomes such-and-such. What should I do now?" If it was right, Ajaan Sao would say, "Keep on meditating." If not, he would say, "You have to do such-and-such. What you're doing isn't right." For example, once when I was his attendant novice, a senior monk of the Mahanikaya sect came and placed himself under his direction as a beginning student in meditation. 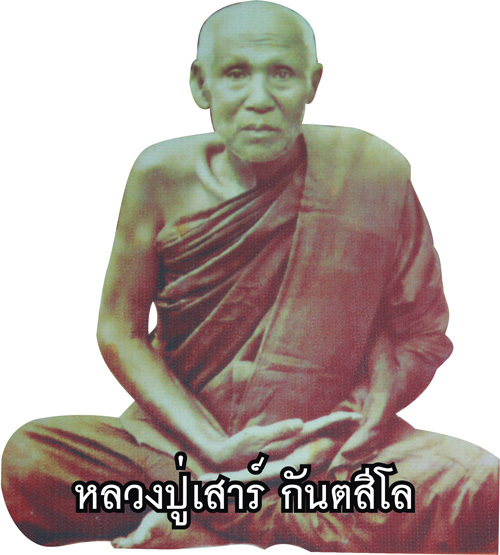 Ajaan Sao taught him to meditate on "Buddho." Now, when the monk settled down on "Buddho," his mind became calm and, once it was calm, bright. And then he stopped repeating "Buddho." At this point, his mind was simply blank. Afterwards, he sent his attention out, following the brightness, and a number of visions began to arise: spirits of the dead, hungry ghosts, divine beings, people, animals, mountains, forests... Sometimes it seemed as if he, or rather, his mind, left his body and went wandering through the forest and wilderness, seeing the various things mentioned above. Afterwards, he went and told Ajaan Sao, "When I meditated down to the point were the mind became calm and bright, it then went out, following the bright light. Visions of ghosts, divine beings, people, and animals appeared. Sometimes it seemed as if I went out following the visions." As soon as Ajaan Sao heard this, he said, "This isn't right. For the mind to go knowing and seeing outside isn't right. You have to make it know inside." The monk then asked, "How should I go about making it know inside?" Phra Ajaan Sao answered, "When the mind is in a bright state like that, when it has forgotten or abandoned its repetition and is simply sitting empty and still, look for the breath. If the sensation of the breath appears in your awareness, focus on the breath as your object and then simply keep track of it, following it inward until the mind becomes even calmer and brighter." And so the monk followed the Ajaan's instructions until finally the mind settled down in threshold concentration (upacara samadhi), following which the breath became more and more refined, ultimately to the point where it disappeared. His sensation of having a body also disappeared, leaving just the state in which the mind was sitting absolutely still, a state of awareness itself standing out clear, with no sense of going forward or back, no sense of where the mind was, because at that moment there was just the mind, all on its own. At this point, the monk came again to ask, "After my mind has become calm and bright, and I fix my attention on the breath and follow the breath inward until it reaches a state of being absolutely quiet and still — so still that nothing is left, the breath doesn't appear, the sense of having a body vanishes, only the mind stands out, brilliant and still: When it's like this, is it right or wrong?" "Whether it's right or wrong," the Ajaan answered, "take that as your standard. Make an effort to be able to do this as often as possible, and only when you're skilled at it should you come and see me again." So the monk followed the Ajaan's instructions and later was able to make his mind still to the point that there was no sense of having a body and the breath disappeared more and more often. He became more and more skilled, and his mind became more and more firm. Eventually, after he had been making his mind still very frequently — because as a rule, there's the principle that virtue develops concentration, concentration develops discernment, discernment develops the mind — when his concentration became powerful and strong, it gave rise to abhiñña — heightened knowledge and true insight. Knowledge of what? Knowledge of the true nature of the mind, that is, knowing the states of the mind as they occur in the present. Or so he said. After he had left this level of concentration and came to see Ajaan Sao, he was told, "This level of concentration is fixed penetration (appana samadhi). You can rest assured that in this level of concentration there is no insight or knowledge of anything at all. There's only the brightness and the stillness. If the mind is forever in that state, it will be stuck simply on that level of stillness. So once you've made the mind still like this, watch for the interval where it begins to stir out of its concentration. As soon as the mind has a sense that it's beginning to take up an object — no matter what object may appear first — focus on the act of taking up an object. That's what you should examine." The monk followed the Ajaan's instructions and afterwards he was able to make fair progress in the level of his mind. A senior Buddhist monk at Wat Pa Salawan, Nakhon Ratchasima Province, northeastern Thailand. This is one instance of how Phra Ajaan Sao taught his pupils — teaching just a little at a time, giving only the very heart of the practice, almost as if he would say, "Do this, and this, and this," with no explanations at all. Sometimes I would wonder about his way of teaching. That is, I would compare it with books I had read or with the Dhamma-talks I heard given by other teachers. For example, Phra Ajaan Singh wrote a small handbook for the practice of meditation, entitled, Taking the Triple Refuge and the Techniques of Meditation, and in it he said that in practicing meditation you must, before all else, sit with your body straight and establish mindfulness directly in front of you. That's how he put it, but not how Ajaan Sao would put it. Still, the principles they taught were one and the same, the only difference being that Ajaan Sao was not a preacher, and so didn't make use of a lot of rhetoric. 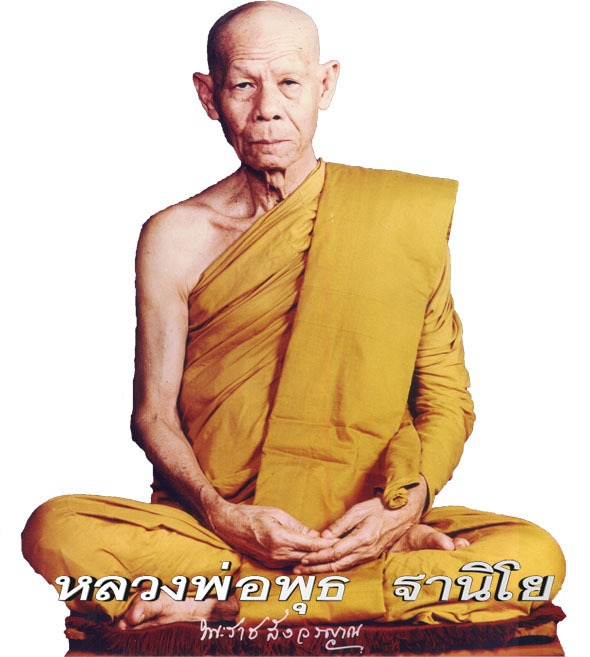 A former abbot and senior Buddhist monk at Wat Pa Salawan, Nakhon Ratchasima Province, northeastern Thailand. As he explained to me: "When we make up our mind to repeat 'Buddho,' the act of making up the mind is in itself the act of establishing mindfulness. When we keep thinking 'Buddho' and are not willing to let the mind slip away from 'Buddho,' our mindfulness and alertness are already healthy and strong, always watching over the mind to keep it with 'Buddho.' As soon as our attention slips away, so that we forget to think 'Buddho' and go thinking of something else, it's a sign that there's a lapse in our mindfulness. But if we can keep our mindfulness under control and can think 'Buddho, Buddho' continuously, with no gaps, our mindfulness is already strong, so there's no need to go 'establishing mindfulness' anywhere. To think of an object so that it is coupled with the mind is, in and of itself, the act of getting mindfulness established." That was how he explained it to me. This was one instance of how I saw and heard Phra Ajaan Sao teaching meditation, and should be enough to serve us all as food for thought. Dhamma: Event; phenomenon; the way things are in and of themselves; their inherent qualities; the basic principles underlying their behavior. Also, principles of behavior that human beings ought to follow so as to fit in with the right natural order of things; qualities of mind they should develop so as to realize the inherent quality of the mind in and of itself. By extension, 'Dhamma' is used also to denote any doctrine that teaches such things. Thus the Dhamma of the Buddha denotes both his teachings and the direct experience of nibbana, the quality at which those teachings are aimed.